Thank you for considering becoming a partner of Kids In Support of Soldiers, Inc. (K.I.S.S.). It’s in large part thanks to the gracious support of our business partners that we’re able to serve the deployed service men and women who defend our freedoms. 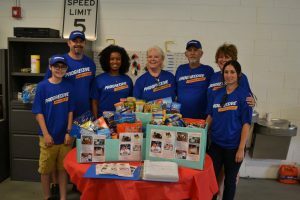 Businesses that desire to provide financial donations, product donations, or to host packing events at their locations are encouraged to contact us to see how you can become involved. Please contact us via the form below to learn more about how your company can be a part of supporting our troops overseas.